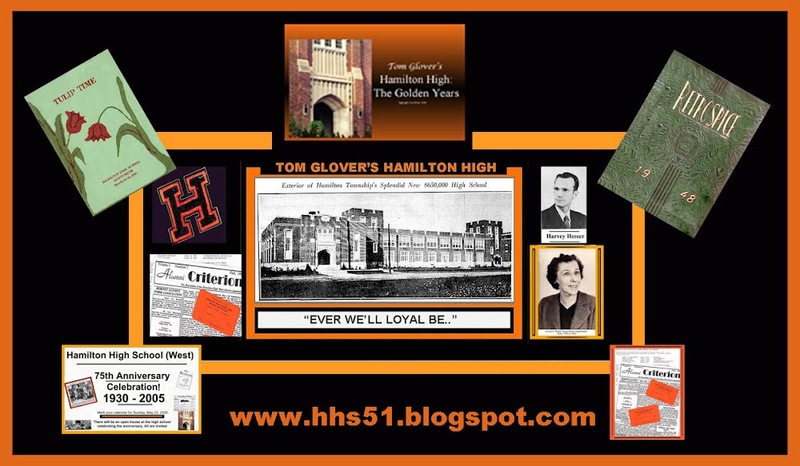 Hamilton High's class of 1952 will be celebrating their 55th reunion in this year of 2007. 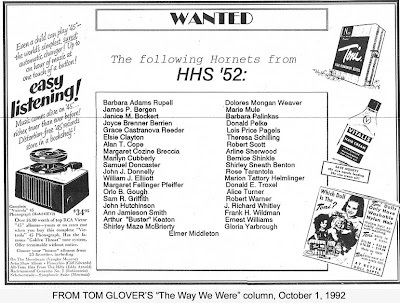 From my Hamilton High School folder in the local history collection, posting the a graphic which was given to me by Martha Bisbee Bogdan when the class was preparing to celebrate their 40th back in 1992. I assume the "missing persons" will be pretty much the same this year. My former next door neighbor Shirley Sneath Benton was living in Arizona the last time I spoke with her daughter.